He is very personable and accessible and will make sure you and your guests have a wonderful time dancing all night long. Dario’s love of music is what guarantees this as an extension of his talent and his willingness to do what is necessary for your event’s success. He takes great pride in what he does and goes beyond just playing music, thus ensuring that everyone in the room has the best time. DJ Dario was a great DJ that easily understood my vision for my wedding. He had every guest up and dancing to great music all night long. He was also easy to get in touch with throughout the planning process and even did some meeting by Skype! Dario was awesome! He is completely bilingual which is something that I was looking for. He is a great MC and DJ! Fun times! Dario did a wonderful job as our wedding DJ. All of our guests had a blast, and he was a big part of the reason why. He did a fantastic job of keeping the crowd dancing, setting the perfect mood with the right mix of songs, as well as playing our personal favorites and anticipating songs we would like. We always use him for all our special occasions and will continue to do so. 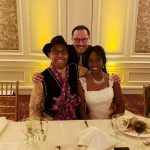 We hired DJ Dario for our wedding and couldn’t have been happier with how things went. He was really easy to work with and really interested in making the event and music what we wanted it to be, rather than set songs chosen from a standard list. He worked with sample music we provided from our own iTunes libraries to put together a larger collection of music that would have the vibe we wanted and it turned out great. Everyone had a blast – he even took a little cellphone video for us of the group doing the Hora. Would hire him and recommend him again without a second thought. On top of that, he was super responsive to emails, which is such a big plus. We were impressed from the first encounter with DJ Dario and his high energy to make our wedding day the best ever. He was easy to work with, very professional and listened to our every music need. He also suggested other ideas for making the dance party even better, such as adding a monogram “gobo” of our names on the dance floor and bringing special lights. We could not have had a better DJ to keep our dance party going until the wee hours of the night and our guests highly entertained… With a Brazilian groom and American/Chilean bride, we truly needed an all-encompassing experience that could entertain a diverse crowd and be special for different age groups. DJ Dario delivered that and more. 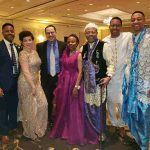 With a diverse repertoire of upbeat songs, our local and international guests were amazed and couldn’t stop moving to the beats… the best judge of a successful night is that nobody ever left the dance floor. ,br>You are the BEST DJ Dario!! Thanks for making it a night to remember! DJ Dario is the BEST!! He deejay-ed our October 3rd wedding, and from the moment the dance music started, the dance floor was filled for the rest of the night up to the very last song, a mark of a GREAT DJ! My parents told me they heard from friends of theirs who said they hadn’t danced that much in years! 🙂 Our photos from the reception proved it true, everyone was on the floor dancing at some point, young and old. Dario knows exactly how to feel out and entertain a crowd of all ages, and very clearly loves what he does and brings that joy to your party. He was very responsive in the planning phase, discussed our reception format and playlist with me at length to get a feel for what we wanted, and was all-around extremely polished and professional on the day of as the MC. Also the lighting he provided was just perfect– from the up lighting to the monogram gobo and dance floor lights– just added so much to the party. We cannot recommend more highly! Our party was above and beyond special because of Dario’s great music picks, fun and festive light show, and his his obvious love for what he does. I rate him a 5 plus plus plus! DJ Dario did an outstanding job at both of our big fundraising events so we hired him for our company party. He had the dance floor full during the entire evening. He was also very professional from start to finish, and truly did bring a touch of class to our events! Dario was very responsive and professional in his work. He payed attention to the crowd and played music according to the crowd and their requests. He was friendly with everyone and everyone had a great time. Dario, you really had the party going! There were so many people on the dance floor that we had never seen dance before. Thank you for an awesome evening.